There is a variety of supplements and natural health care products available on the market these days. The take off of alternative medicine has promoted such products as a healthier alternative to conventional medicine and pharmaceuticals. Consumers are faced with the task of finding products that are financially and medicinally viable. So finding the right product can be a challenge in today’s market. Often people will rely on a few key things when choosing a product. Some of these may include; where and how the product is manufactured, what ingredients and concentrations are used or whether there is a quality product satisfaction guarantee. Turmeric supplements are one of the many types of natural health medicinal alternatives available to consumers. Turmeric has been used for thousands of years to aid in health problems such as; reducing inflammation, lowering cholesterol, treating skin diseases and it has even been used in the treatment of cancer and Alzheimer’s. Other benefits of the plant belonging to the ginger family are; improving immune system function, improving mental health, improving cardiovascular health and boosting antioxidants in the body. 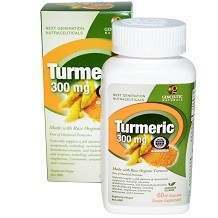 A top choice Turmeric product available on the market is Genceutic Naturals Certified Organic Turmeric. The manufacturers pride themselves in using only organic ingredients, offering their customers a product free from chemicals and pesticides. They also claim the supplement is free from GMO’s and completely vegetarian. The product undergoes strict quality control measures before ever being released to consumers. All of these qualities provide peace of mind and confidence to the public market. The manufacturers recommend that the product be taken two times daily for maximum benefit. It is recommended that customers seek advice from a health care practitioner prior to taking supplements. A bottle of Genceutic Naturals Certified Organic Turmeric contains 60 capsules and is priced at $17.99. Generally, one bottle is equal to a one-month supply of the product. There is a 30 day manufacturers satisfaction guarantee for the product, which allows the customer one month to return the product in it’s original packaging for a full refund. However, customers must purchase directly from the manufacturer in order to receive a refund. Purchases may be made via the companies website or by phone. 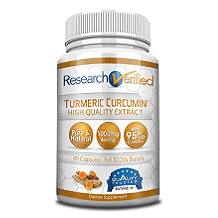 Overall, Genceutic Naturals offers an attractive option to consumers as a turmeric supplement. The price point is one of the cheaper options available and the company offers promising health benefits to those that use their product. However, other products that have a well rounded quality package.